This is a guest post by Ian Cleary from RazorSocial. How effective are the tweets you send that are important to your business? How are you monitoring the effectiveness of these tweets? By monitoring what happens to your important tweets you can begin to understand what works and what doesn’t work and make improvements. 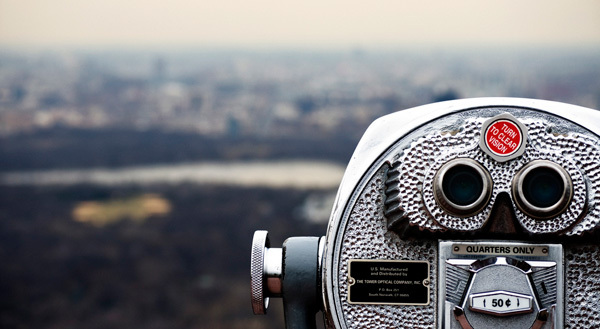 Here are 7 tools that are useful for monitoring the effectiveness of your tweets. Tweetreach answers the question of how far did my tweet travel. You copy in your tweet or part of your tweet and do a search. The standard report provides information related to the reach of this tweet. So if you copy in keywords that will uniquely identify your tweet you will see how many people tweeted or retweeted this. Tweetreach also provides information on who are the most influential users who shared your content and this can be very useful for finding new followers. So if you see that someone influential has retweeted you that could be a good time to follow them. Twittermap is a useful tool for checking to see where in the world my tweet was retweeted or mentioned on twitter. If you send out a tweet and it doesnÕt reach countries or continents that are important to you, then you need to consider why. You may consider finding some followers in those areas and building up a relationship with them so that next time your tweet reaches those countries. When you send out a tweet it is quite useful to use a web address shortener which just reduces the size of a web address to give you more room to write your message within the tweet. But the other advantage of these web address shortener tools is that a lot of them also provide some analytics on the links. So if you send out a link to a website the tool can tell you how many people clicked on the link. Bit.ly is quite a popular address shortener tool and this provides statistics on the links. Awe.sm has more advanced analytics including integration with Google Analytics to enable conversion tracking. 4. What traffic was generated to my website and what happened to this traffic? If you are using Google Analytics to track performance of your website you can view the “social” section and within this you can see what traffic has come from twitter. By including a link to a page on your website within your tweet you can track to see how many visitors arrive at this page from twitter and also how long they spent. You can also set up goals within Google analytics to track to see if you get a conversion. For example, if you send a tweet about a new product you are launching and you want to track how many trials were taken out as a result of twitter you can track this using a goal within Google analytics. The goal is achieved after a user comes from twitter and signs up for the trial. 5. What’s happening with my tweet now? Monitter is a realtime twitter tracking tool that displays tweets containing words that you specify. When you send out a tweet you can monitor it in realtime to see who is sharing it. You’re not going to do this for every tweet you send but, for example, if you are sending out a tweet that you know is going to get a lot of attention you may want to monitor it realtime. As you see tweets being sent out you can start engaging with the people sending out the tweets. 6. Who has Unfollowed Me After my Tweet? At times you can loose some followers based on the tweets that you send but you can also gain some followers. Tweeteffect displays your recent tweets and shows if you got new followers or lost followers around the time of the tweet. This is never going to be 100% accurate because you don’t know the exact reason someone unfollows you but if you monitor your unfollows over time you could start to see trends. The following example shows posts from the New York Times. The green background is where followers went up and the red background is where followers went down. If more than 2 people followed or unfollowed you within 5 minutes of the tweet then the tweet is highlighted. In the list above the first item in red bolded text indicates that at least 2 people unfollowed this account within 5 minutes of the post being sent out. The item with green text that is bolder (Wed 15th of August) shows that the account got at least 2 new followers within 5 minutes of the tweet going out. 7. What about my Social Media Management tools? There are a range of Social Media Management tools that now have analytics as part of their offering so it’s worth considering these also. For example, Hootsuite, Argyle Social, SproutSocial or BufferApp. Analytics is an important part of Social Media Management so make sure that when you are selecting the tool it includes relevant analytics. These are just 7 different tools that can be used. What tools have you used? How do you monitor the effectiveness of your tweets? We would love to hear your feedback. Ian Cleary is the CEO of RazorSocial which is a site that what will help you discover and learn about the best social media tools that are available to grow your business. http://crowdbooster.com/) as a good option to see your reach. 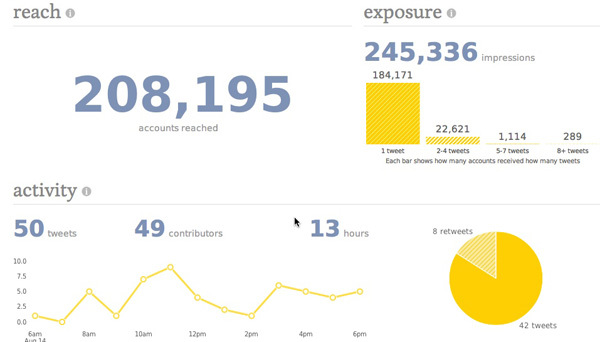 Hey Anand, I use @crowdbooster as well to look at “Impressions”. Hi Anand, thanks for the feedback. Crowdbooster is a great tool also! Ian. Yes Tara, sorry about, it is an issue with posts not having a “featured image” but you can use the Pin It bookmarklet for your browser. I have read many twitter tool posts, but i must say i love the way presented this one. Almost like guiding us through the life of a tweet from start to finish and how to track that life span. If anyone were to take the time to track each step, I am sure that what we tweet, will change for ever. Research always churns out data, which can be analysed and conclusion’s can be drawn. This is a much better strategy than saying i think that by posting these kind of tweets i will get more traffic and reactions. So if you copy in keywords that will uniquely identify your tweet you will see how many people tweeted or retweeted this. You can go further with tracking in Google Analytics when sharing URL links by using UTM codes. Using the Google URL builder tool allows you to append source, medium, and campaign info to the URL. So you can track specific twitter campaigns sharing specific URLs, beyond just seeing all aggregated traffic from twitter as a source. Good Post!! the new social network are so funny!! I didn’t know about Tweeteffect. Thank you for sharing! understand what works and what doesn’t work and make improvements. I like the idea of using Tweetreach to find new people to follow. using Tweeteffect to find who followed after a tweet is also another great way to find followers. Thanks for sharing these Twitter tools! Thanks Maria, glad you like it. It’s pretty cool! @iancleary:disqus you totally rock! I love your post — awesome compilation. 😉 I’m including in my newsletter for you this week! Nice article Ian. Tweets seem to be the most popular way of communicating through social media at the moment so I’m sure this article will prove very useful for many.